The Greater Chicago Midwest HERC (GCM HERC) is a collaborative response of our member institutions to the challenges of recruiting and retaining talented and diverse faculty and staff. The GCM HERC was founded in 2007 by Northwestern University, the University of Illinois at Chicago, Argonne National Laboratory, Fermilab and the University of Chicago. 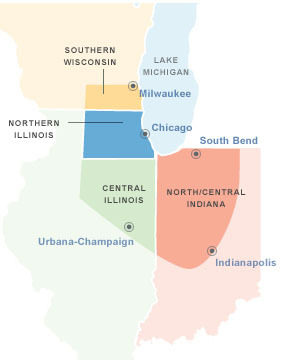 Our distinguished members are colleges and universities, and medical, cultural and research institutions located in the region (northern and central Illinois, southeastern Wisconsin, and northwest and central Indiana).